A program that gets lawyers to volunteer their time to help people navigate the civil court system in Toronto and Ottawa is shutting down next month due to lack of funding — even though a study shows it saves Ontario’s justice system more than $5 million a year. A program that gets lawyers to volunteer their time to help people navigate the civil court system in Toronto and Ottawa is shutting down next month for lack of funding — even though a study shows it saves Ontario's justice system more than $5 million a year. The program, run by Pro Bono Ontario, operates legal help centres out of Toronto's civil and small-claims courthouses along with a courthouse in Ottawa. Last year, the non-profit helped more than 25,400 unrepresented clients with everything from knowing the right legal form to fill out to whether or not they have grounds for a wrongful dismissal case. But after 11 years of facilitating free legal advice, David Scott says Pro Bono Ontario is closing all of its in-court services because it won't have any money to pay support staff by December. To pay the staff and keep the law help centres going he says they would need about $500,000. "It's an absolutely critical service," Scott told CBC Toronto. "There have been assessments made that it saves the courts millions … and it has meant even self-represented people have access to court." Scott, one of the founders of Pro Bono Ontario, says money has been an issue for about a year as private funders can no longer fully support the program — and efforts to court the Attorney General's office and the Law Society of Ontario for funding have been unsuccessful. The province has never paid into the program, but does provide rent-free space for the legal help centres in courthouses. "Astoundingly, the Attorney General and her predecessor say, 'This is not our responsibility,' even though they are responsible institutionally for access to justice," said Scott. "That includes more than anyone these self-represented persons." Last year, Pro Bono Ontario presented the province with a return-on-investment analysis of the non-profit, which shows its services for unrepresented people in the civil courts save the government $10 for every dollar invested in the program. If you look at that over the course of a year, the study says the program saves the province more than $5 million by reducing the number of court proceedings, increasing court efficiency and providing pro bono lawyer time from the private sector. CBC Toronto requested an interview with Ontario Attorney General Caroline Mulroney for this story, but received a statement instead. 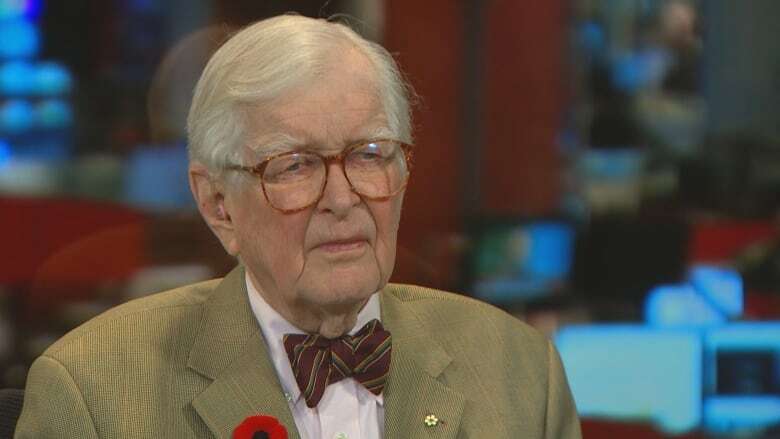 In it, Mulroney's press secretary said "the Attorney General recognizes the importance of pro bono legal services, and is interested in ensuring that access to justice is preserved for those who need it." In terms of Pro Bono Ontario, the Attorney General's office says Mulroney has met with the non-profit three times since July to encourage it "to work with its private sector partners … to find solutions to its long-term funding issues." Alba Menjivar wants the government to step up to help the service that helped her. Menjivar was struggling with mounting credit card debt when she walked into one of Ontario Pro Bono's legal help centres in Toronto four years ago. She couldn't afford to pay the more than $30,000 she owed back all at once and her bank's lawyer was threatening foreclosure on her house. "I was feeling like I was losing everything without having any control," Menjivar told CBC Toronto. "I'm sure they would have taken our house." But things started to change for her after an hour or so with Alysha Shore, a Toronto lawyer who was volunteering at the centre. Shore started helping Menjivar with her case in that initial meeting and then decided to take it on pro bono outside the centre. "Every time that I called, she always answered," said Menjivar. "The truth is it makes a big difference when people look at you as a human instead of a product." From her perspective, Shore was happy to help "with a fairly simple legal situation" that if not resolved could have seen the bank foreclose on Menjivar's home. 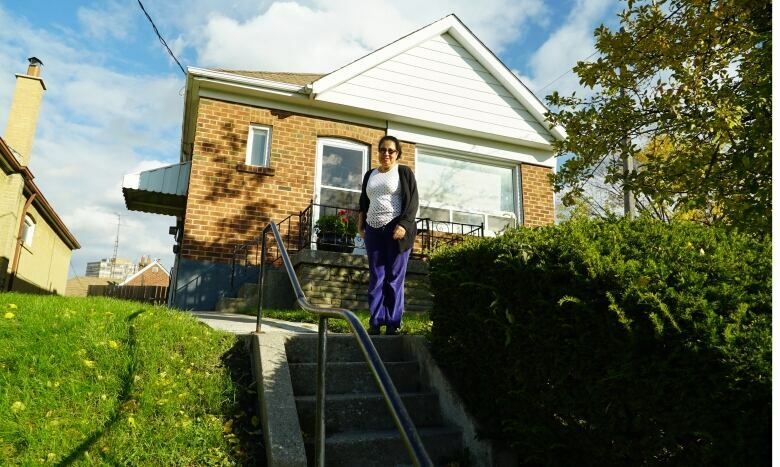 In the end the lawyer was able to get the bank to reduce Menjivar's debt by almost $10,000 and allow her to pay the debt back over time so she could keep her house. "We as lawyers are so privileged. We have this very specific, unique set of information and knowledge that is not particularly accessible to the public," said Shore. "It's a very easy thing to do to go and volunteer there for a day every few months, and in doing that you can really help and make a significant impact on other people's lives." Shore has been volunteering with Pro Bono Ontario since she was in law school over 10 years ago and is devastated by the news that the legal help centres will close. "There are literally thousands of people who have nowhere else to go for this type of help," she told CBC Toronto. "There is no legal aid for civil litigation."